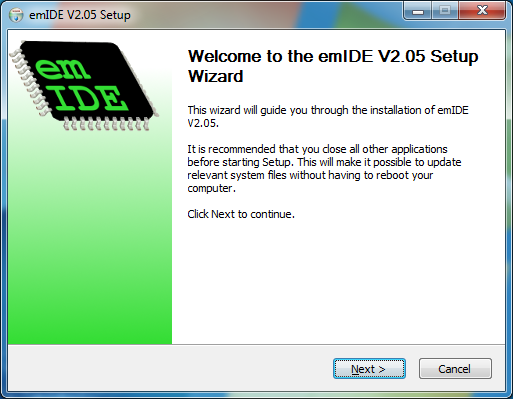 emIDE can be downloaded with an setup installation or as a portable package which does not require installation. To be able to debug with emIDE and a J-Link, the J-Link software and documentation pack needs to be installed first. The setup will guide you through the installation of emIDE. 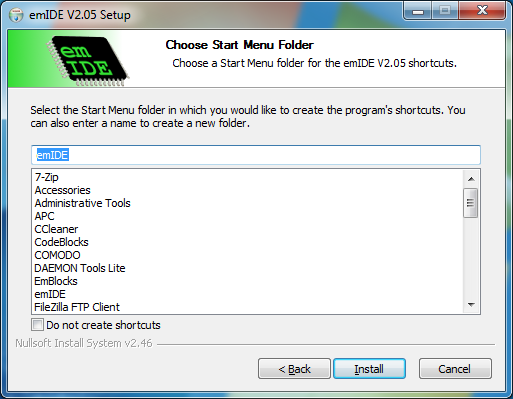 It lets you chose the installation folder and creates a desktop shortcut and start menu entries for emIDE. Open the setup and click next. 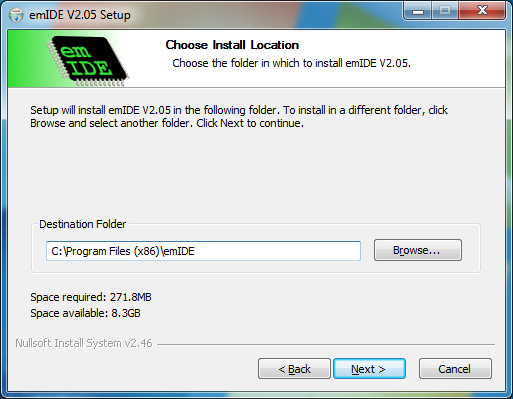 Select the destination folder you want emIDE to be installed to and click Next. 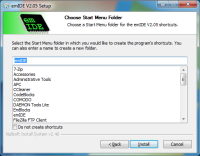 Select the startmenu folder you want the shortcuts to be created in. Click install. 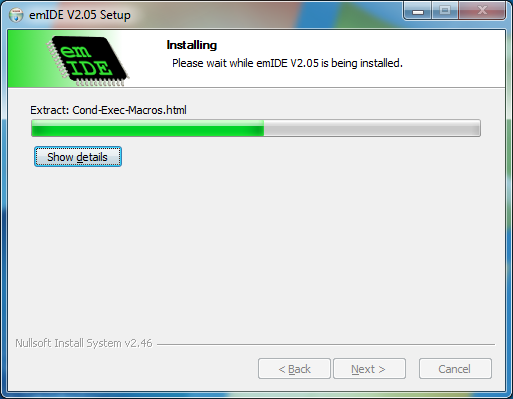 emIDE will now be installed. 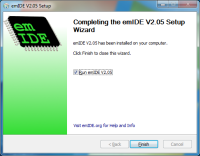 Click Finish to close the setup and run emIDE. A welcome message will inform you that emIDE and the J-Link plugin will be configured for first use. Click OK. When the configuration was successful, a message will inform you about the currently installed J-Link software. emIDE is now ready for use. The portable package can be extracted and used from anywhere on the PC or even from a portable device. 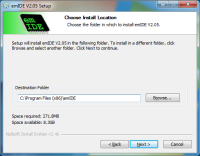 Open and extract the emIDE package to a destination folder on your PC / portable device. Browse to the folder and open emIDE.exe.